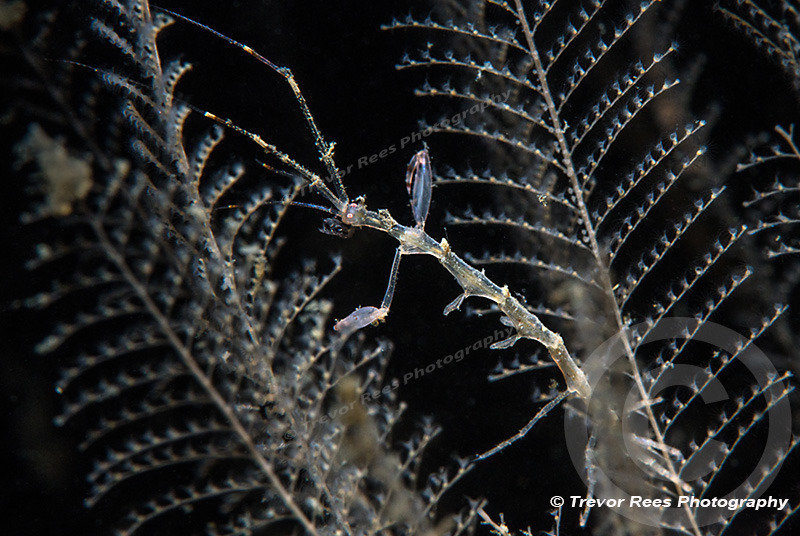 This Skeleton shrimp (Caprella linearis) is often found like this one amongst hydroids (Kirchenpaueria similis). This one was photographed at Loch Creran in Scotland. Size about 2 cm long.